In some cases you don't want to receive email notification about added records from "Records" page. 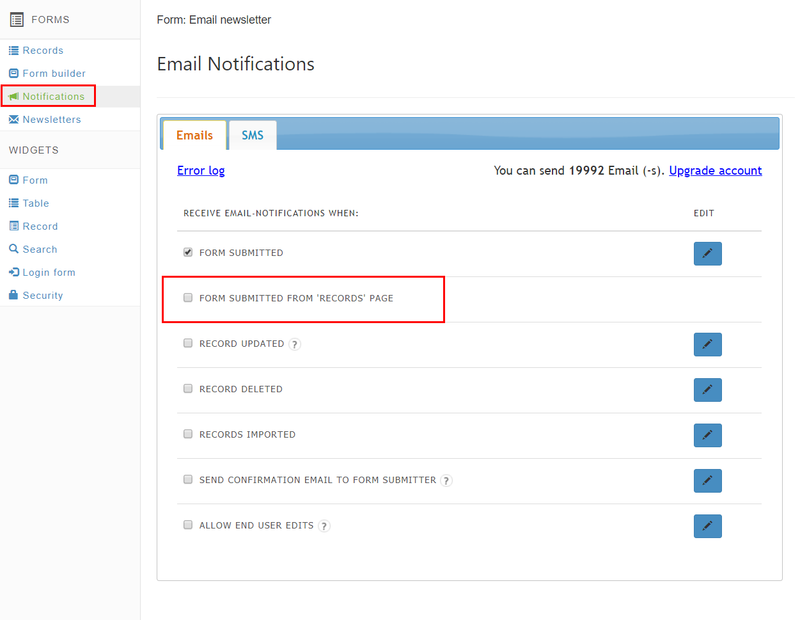 Now you can turn them off by unchecking "Form submitted from 'Records' page" option in "Notifications" menu. Once unchecked you'll stop receiving emails while working inside QuintaDB. But you'll still receive email if your form widget were submitted.